Emily Explains: How do I make an afterthought thumb? One of our latest free patterns, Hanne, is a seriously beautiful pair of mittens designed by Amy. They sit on her desk across from me in the office and I want to steal them! 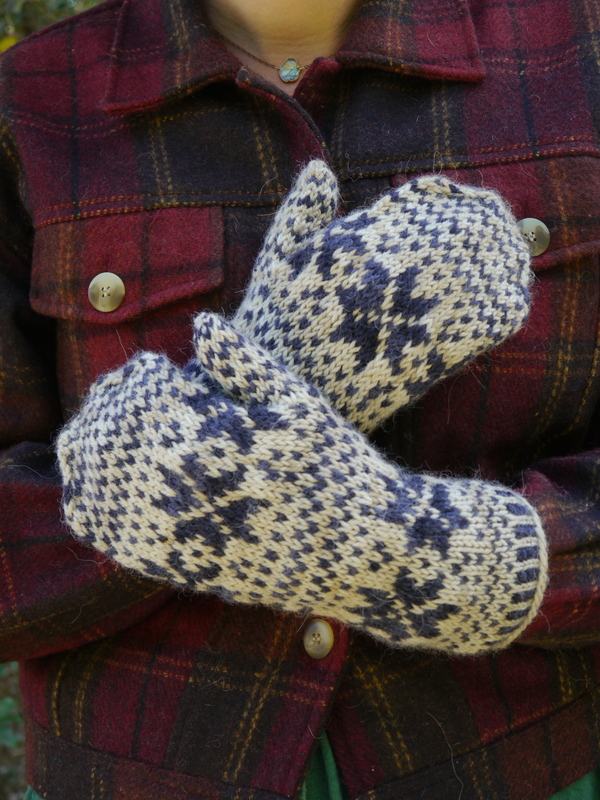 They are a pair of stranded colorwork, Scandinavian mittens with an afterthought thumb. I just learned the afterthought thumb technique and it is blowing my mind how great it is! An afterthought thumb is an alternative to making a gusset (when you increase to create the thumb stitches for your mitten). It is wonderful because you can keep on knitting in colorwork without having to worry about thumb stitches! You just work roughly half the number of thumb stitches you need on waste yarn. Slip those stitches back onto your left needle and continue happily knitting in your pattern. Now that you know how to make the thumb, give these mittens a try! This is flipping g awesome!!!!!! !